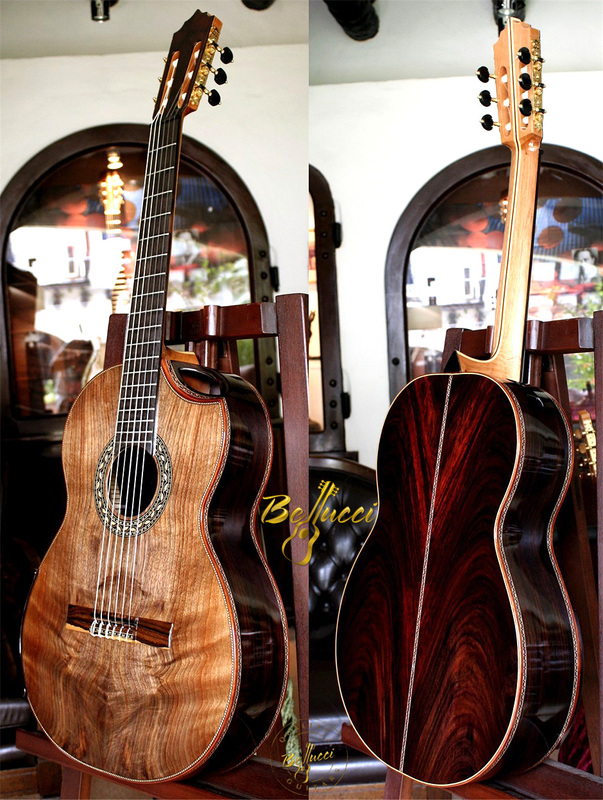 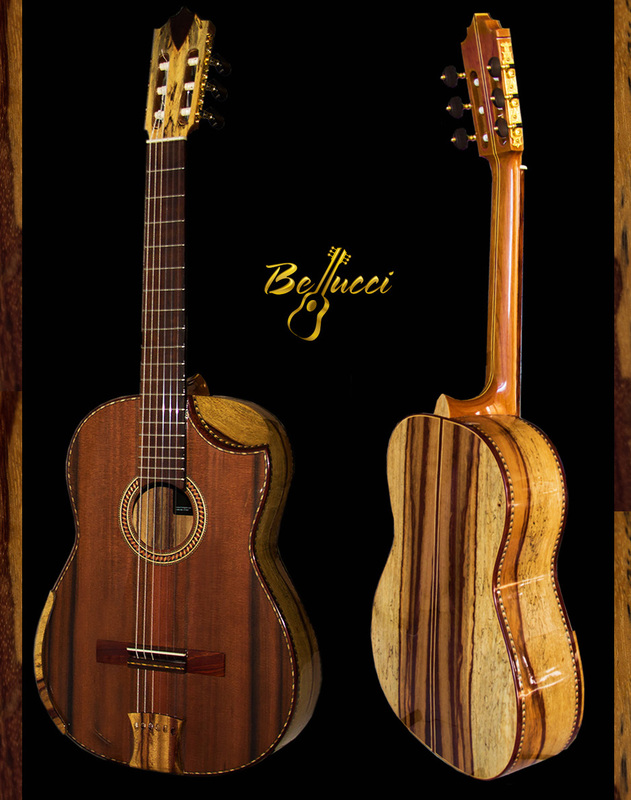 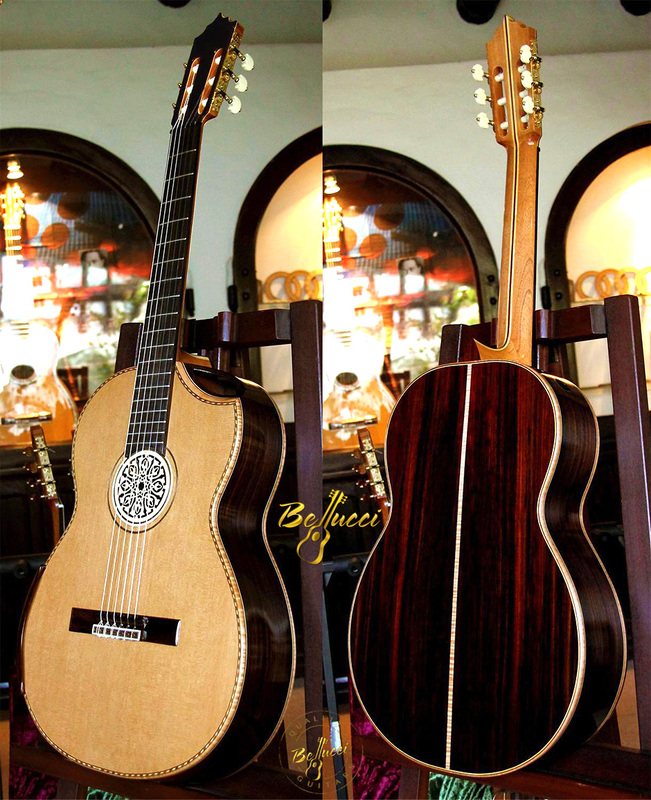 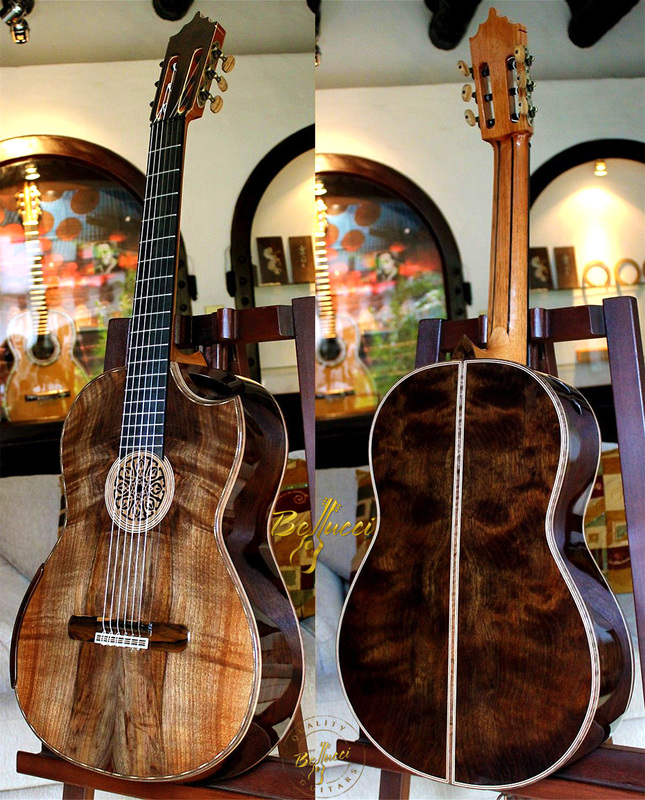 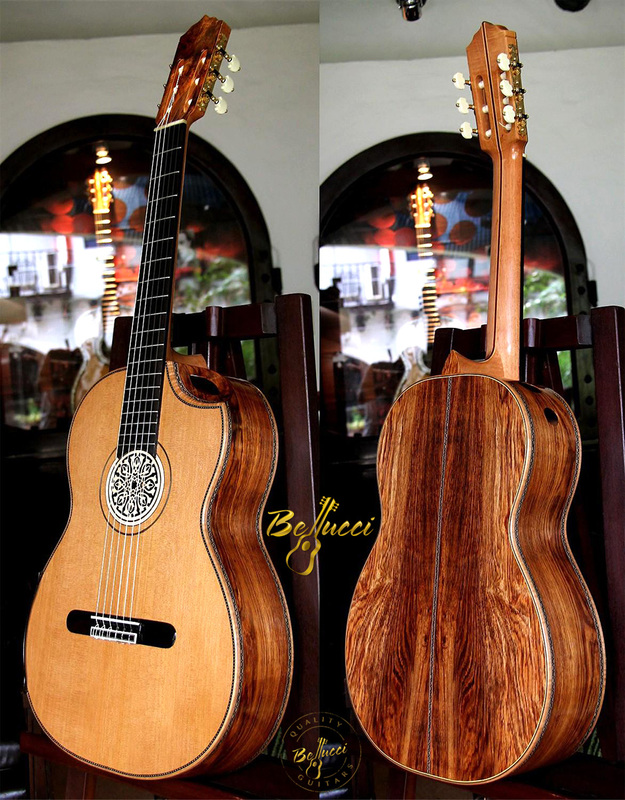 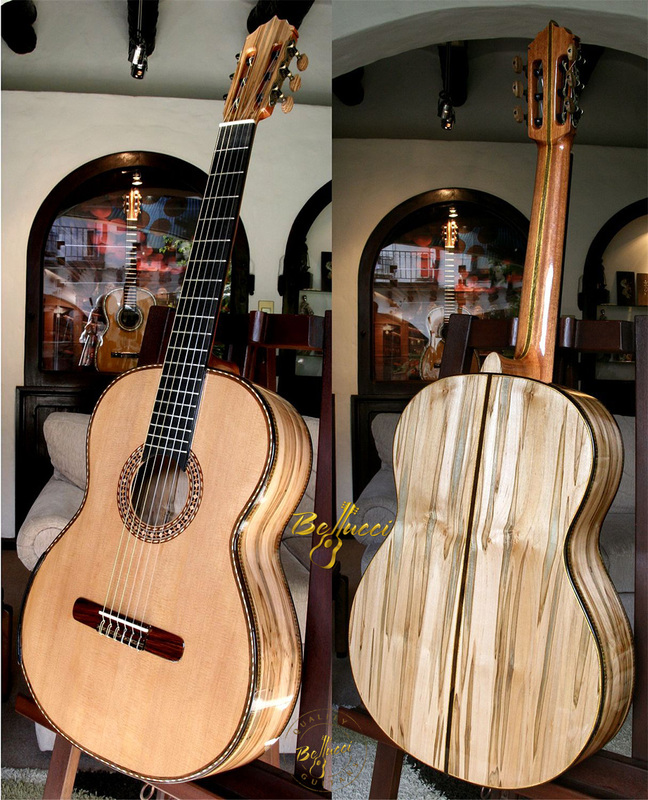 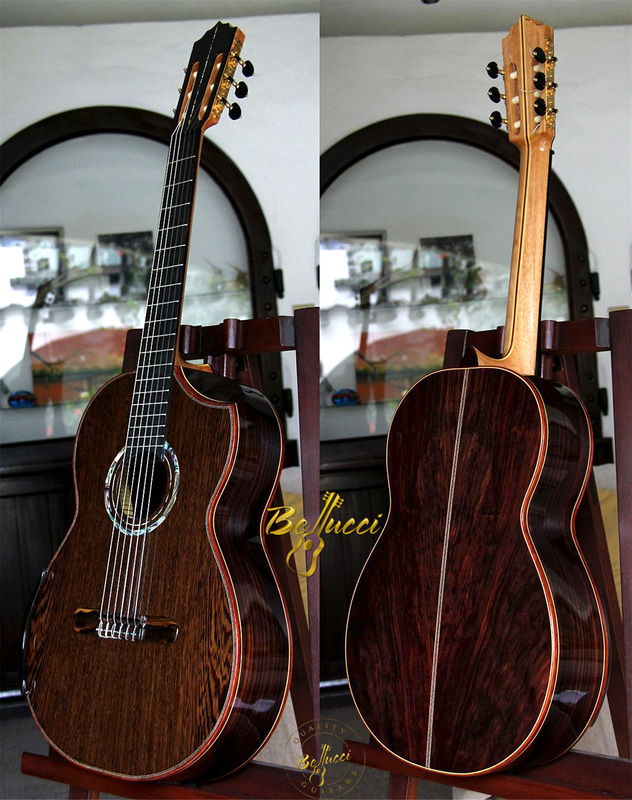 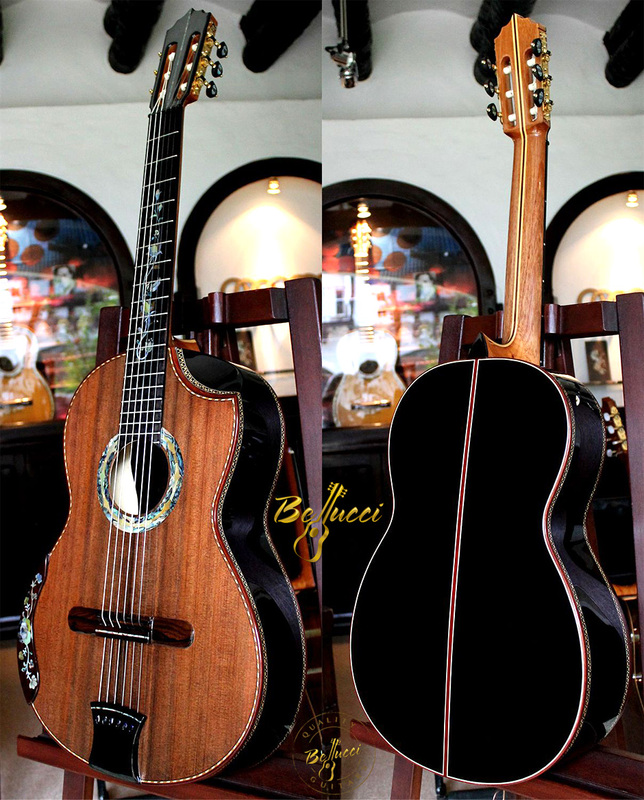 I am going through literally thousands of pictures of some amazing Bellucci Guitars we built throughout the past 15 years. 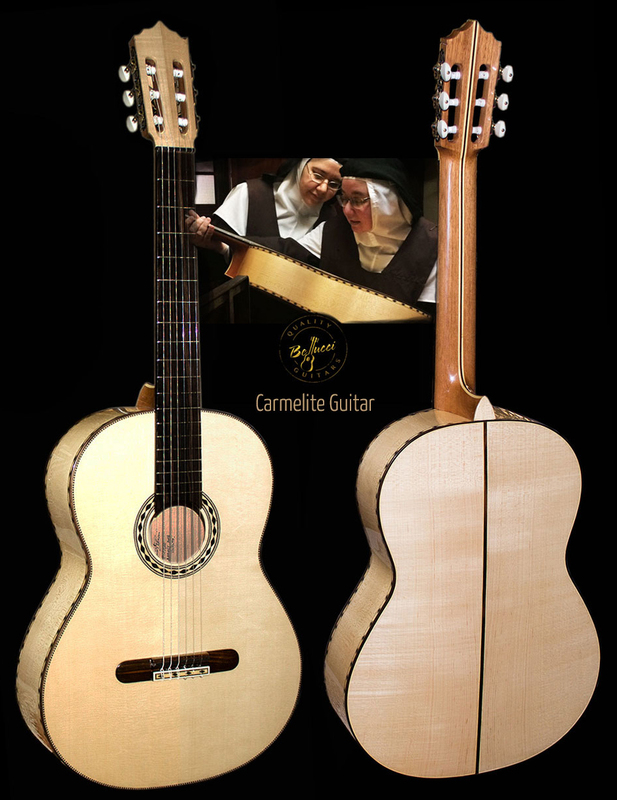 I have wanted to do this for quite some time now. 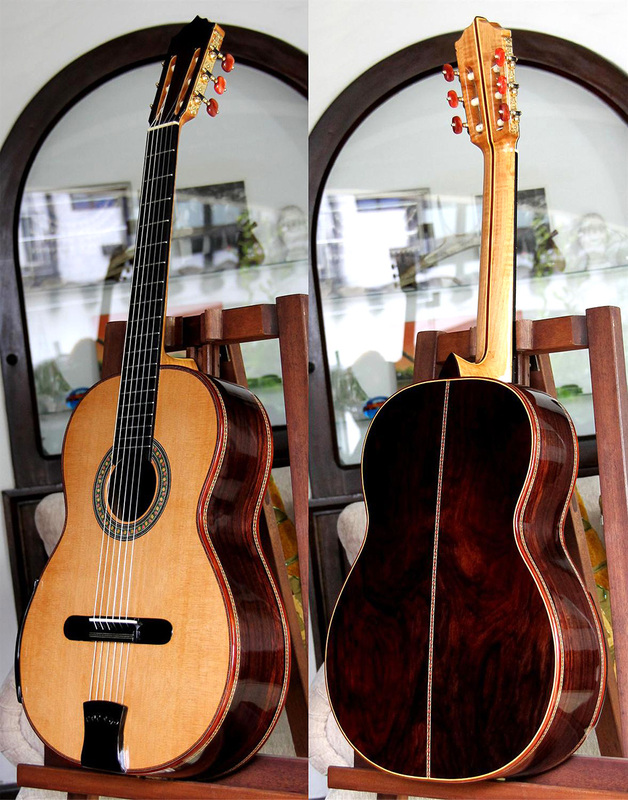 I am so glad I have finally come down to it. 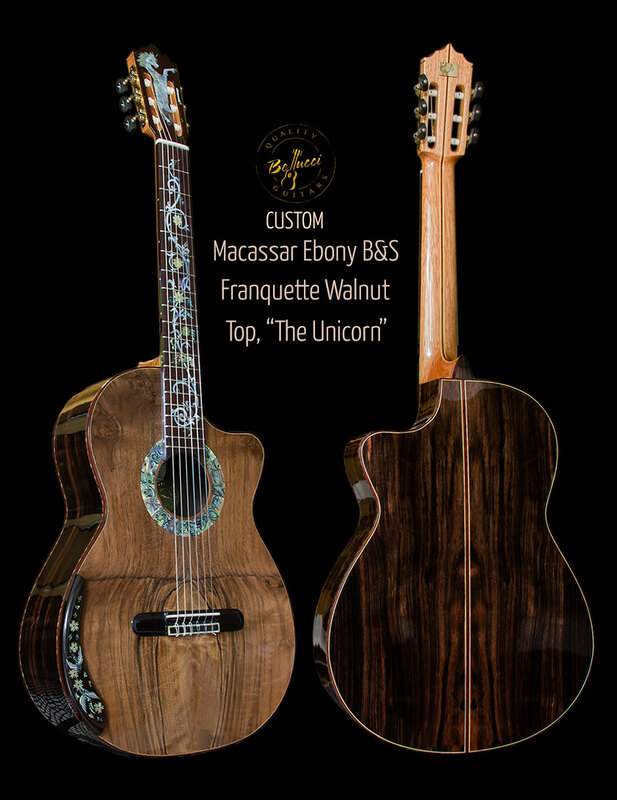 I will be picking a few up that I consider Masterpiece instrument both for the sound and the amazing looks that the woods used passed on to each instrument. 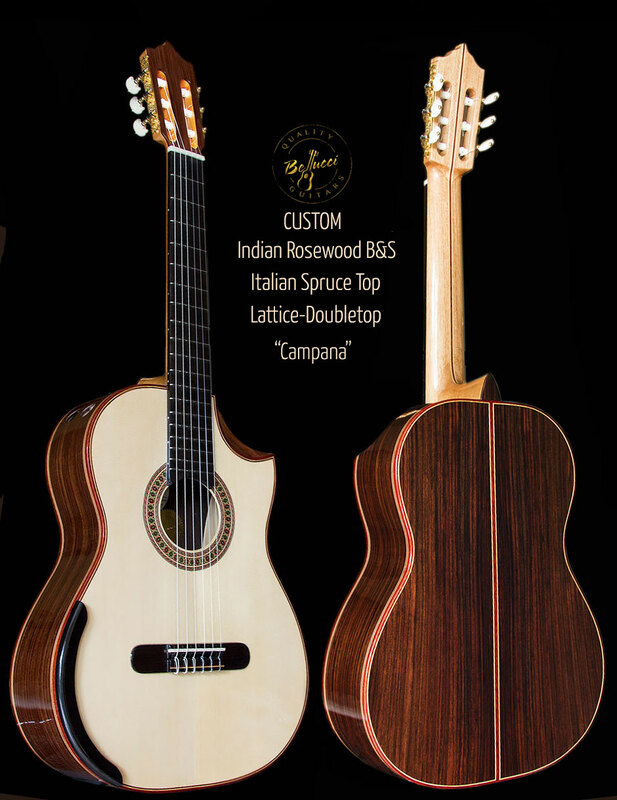 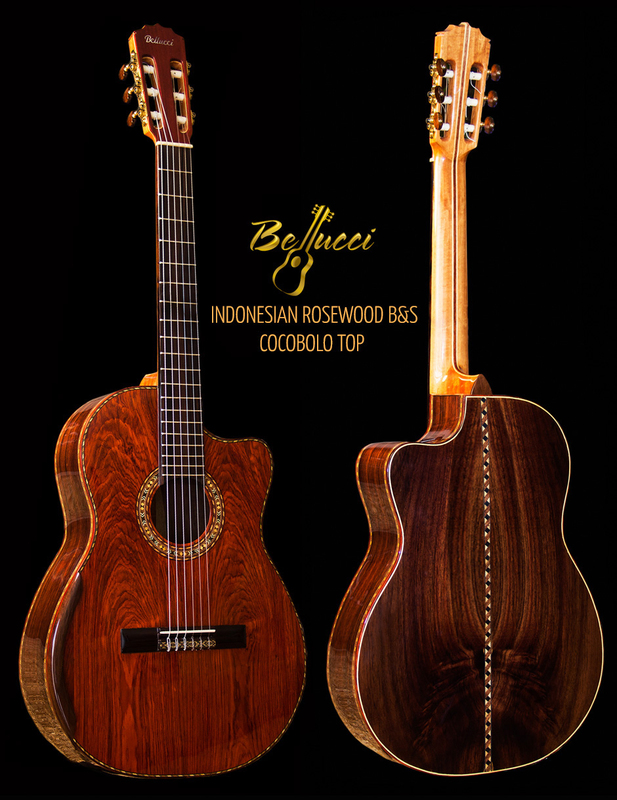 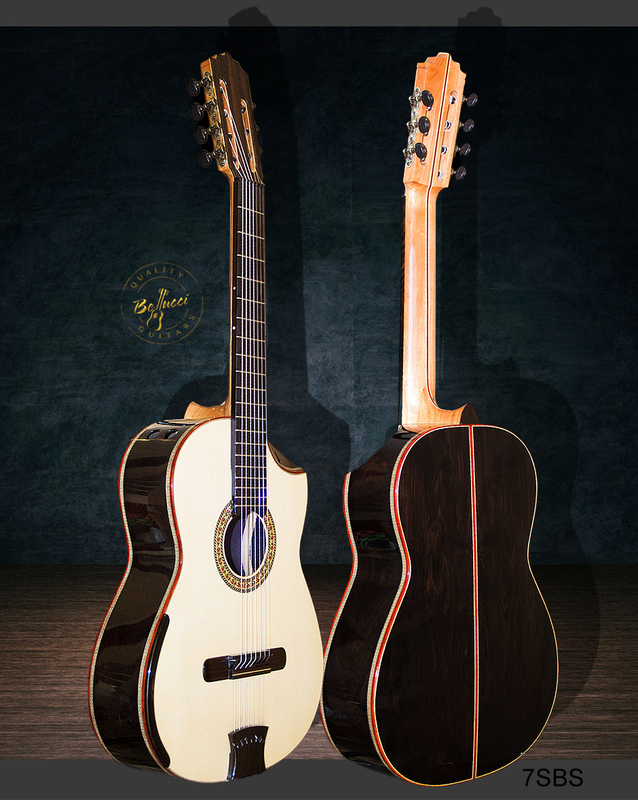 If you'd like to inquire about the price of any one of the models, please use the e-mail link under each guitar to inquire about a Bellucci guitar in particular. 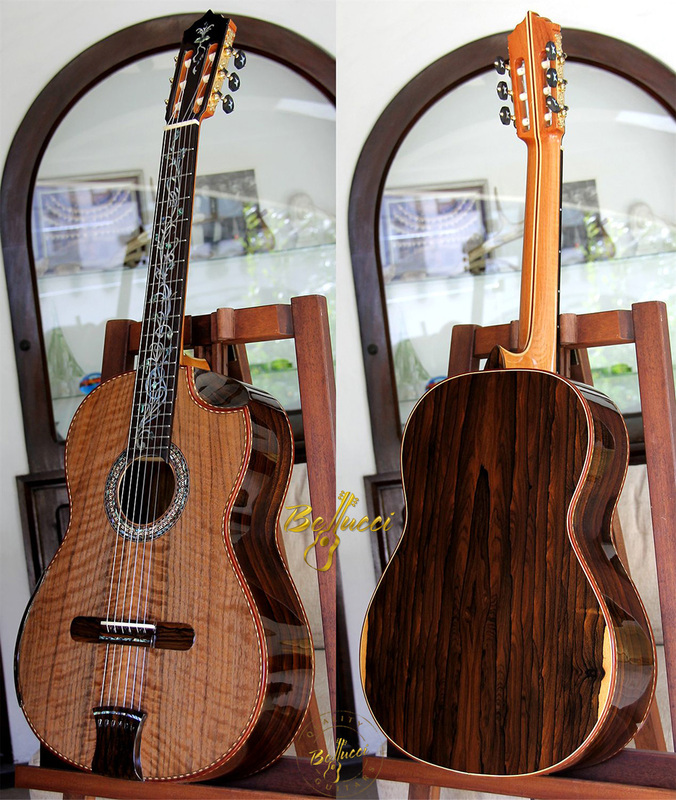 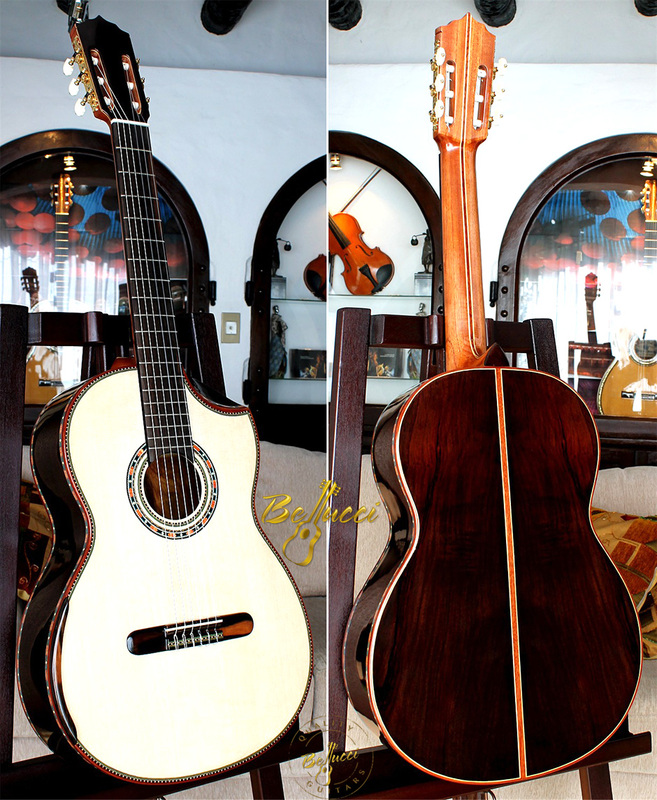 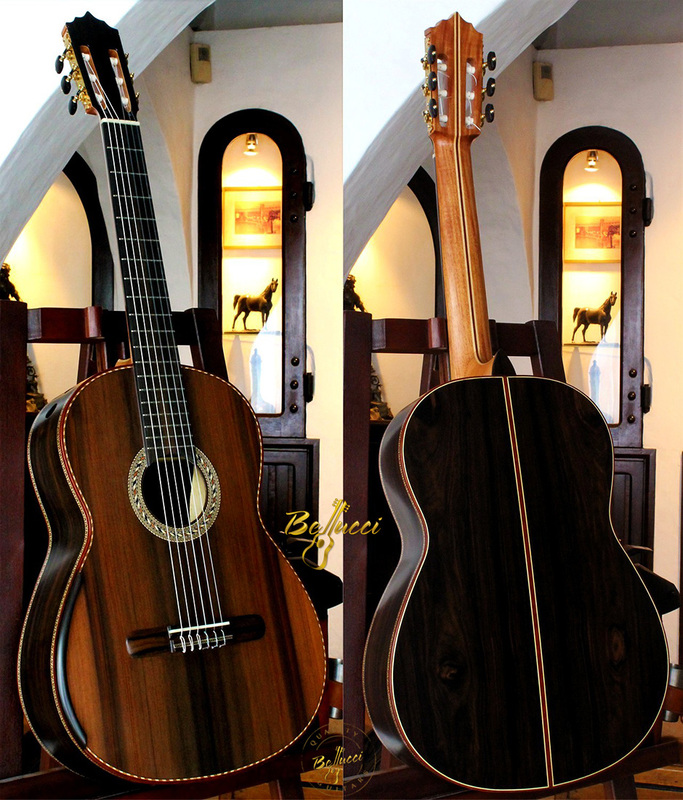 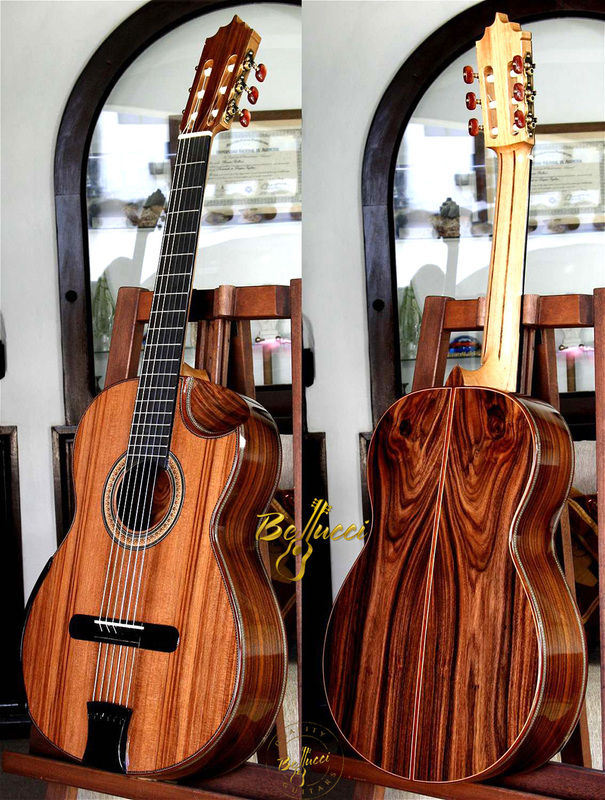 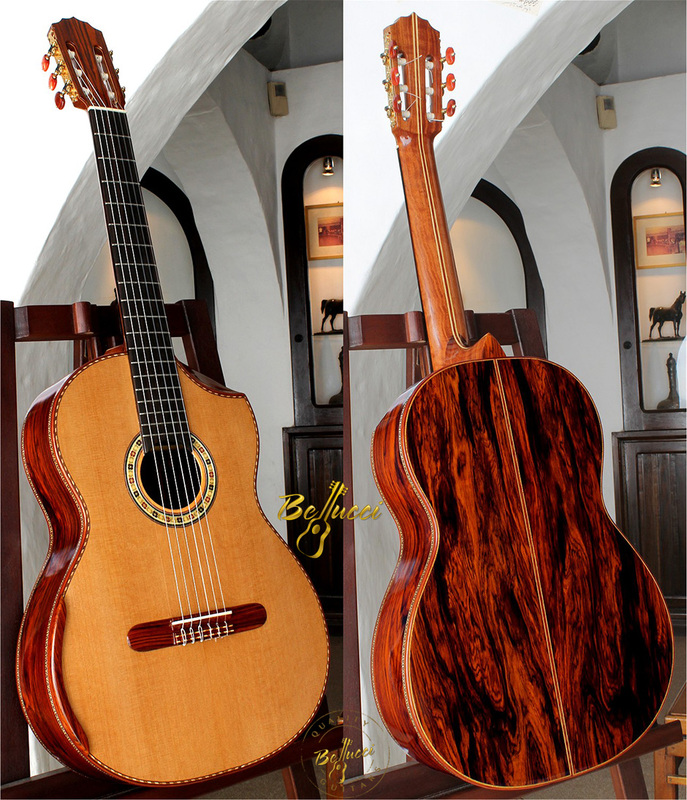 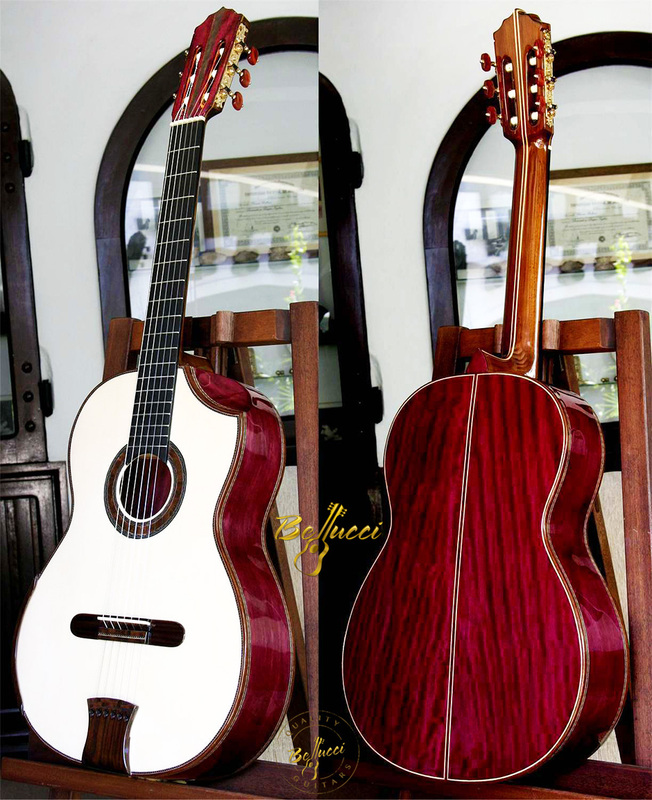 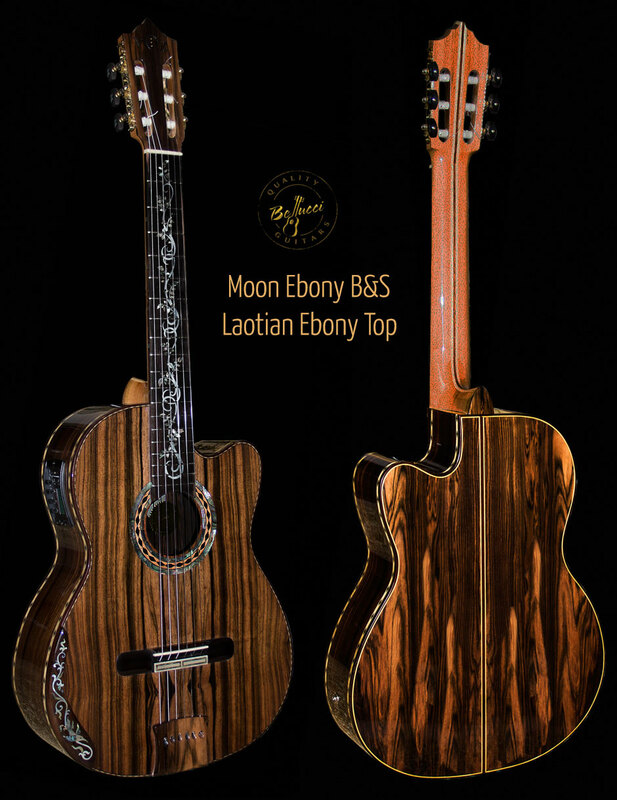 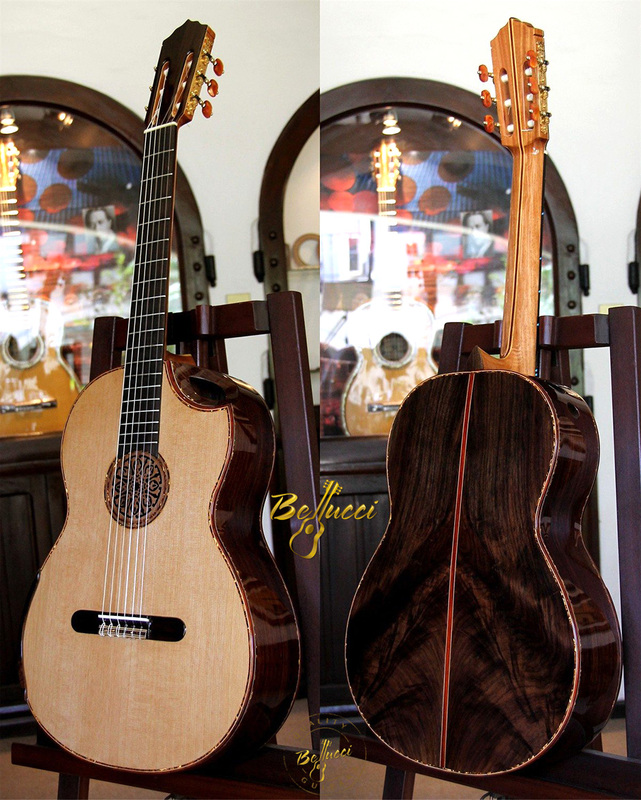 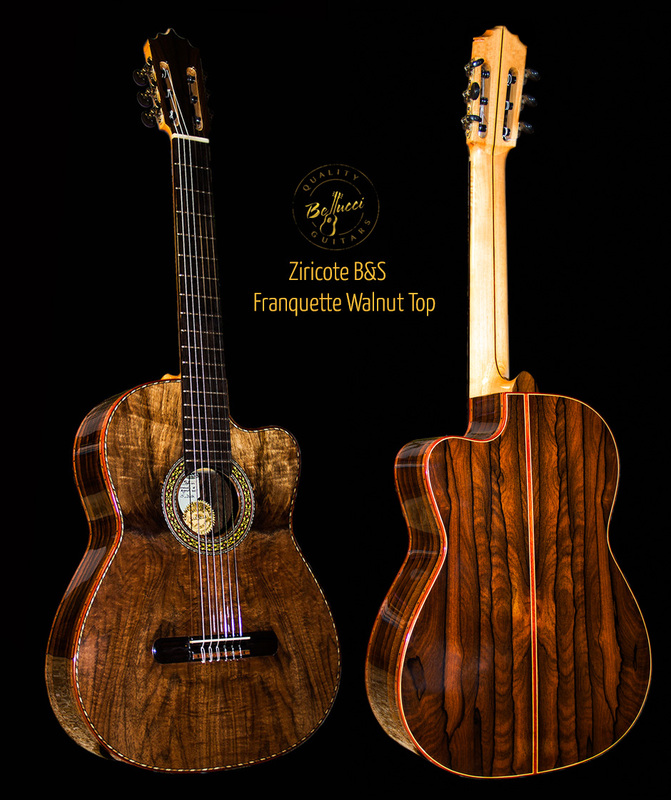 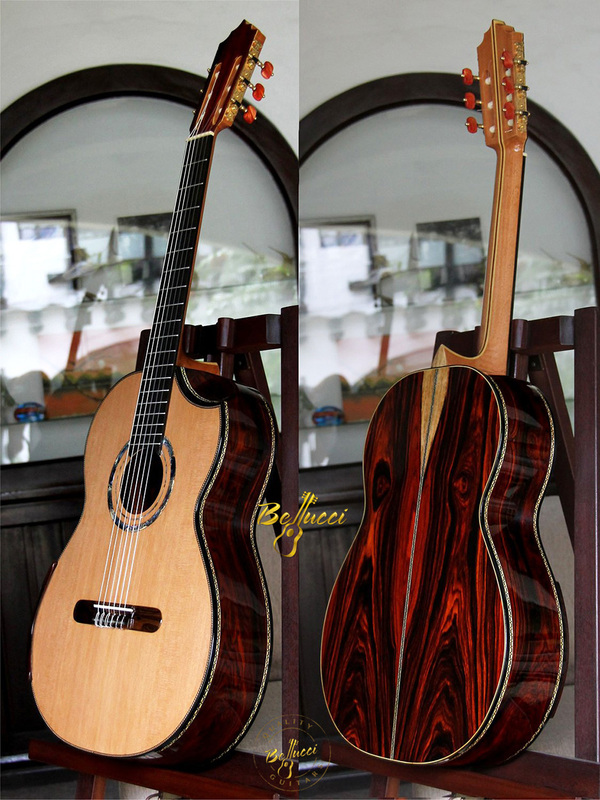 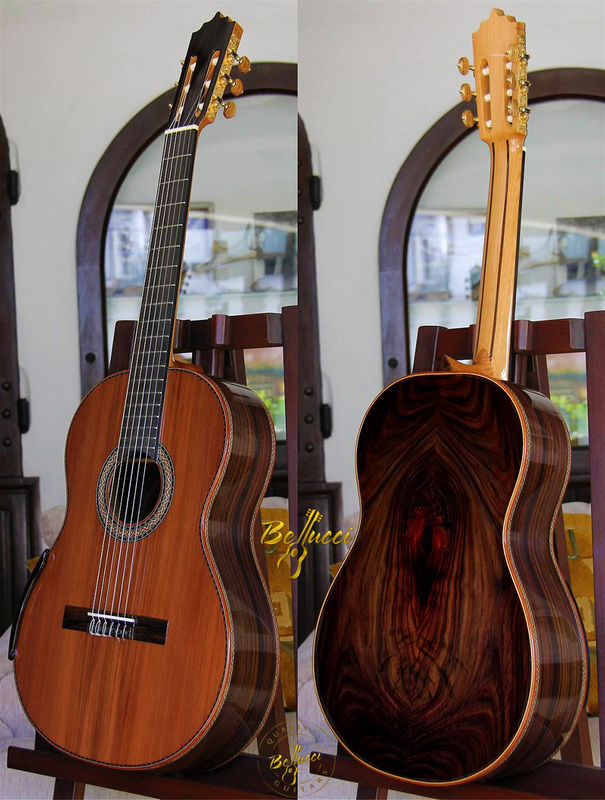 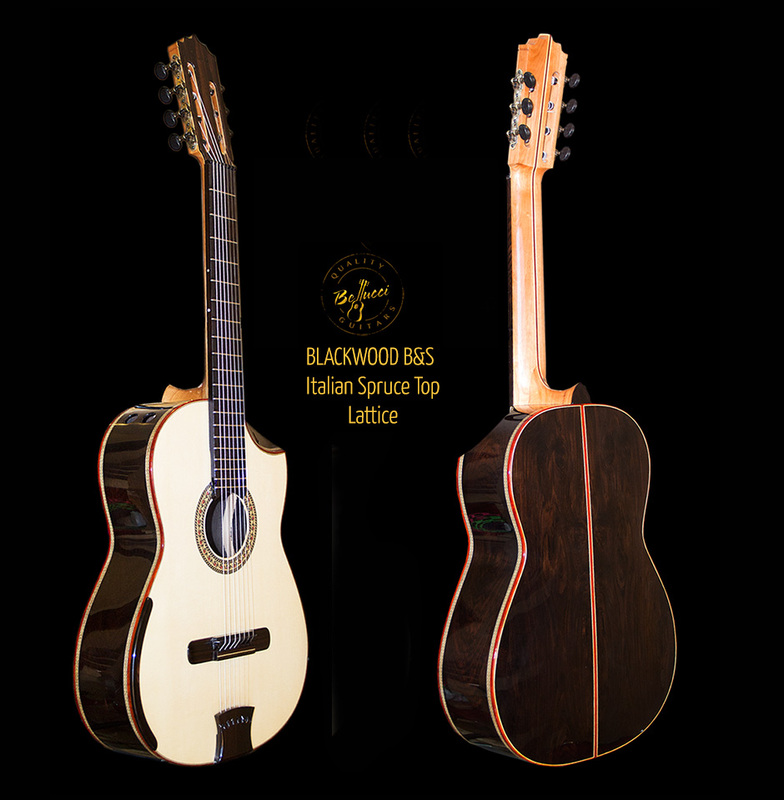 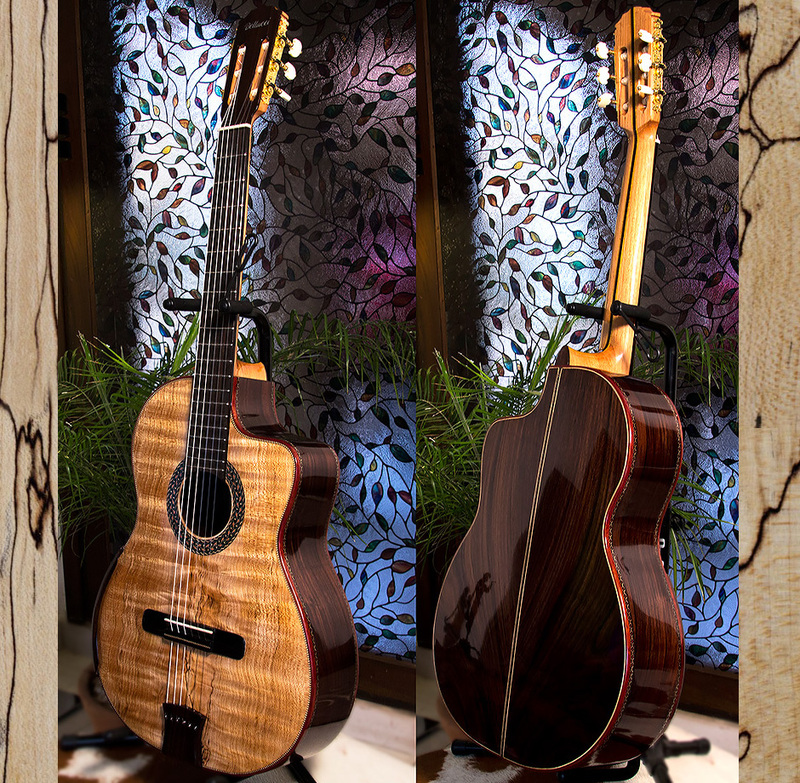 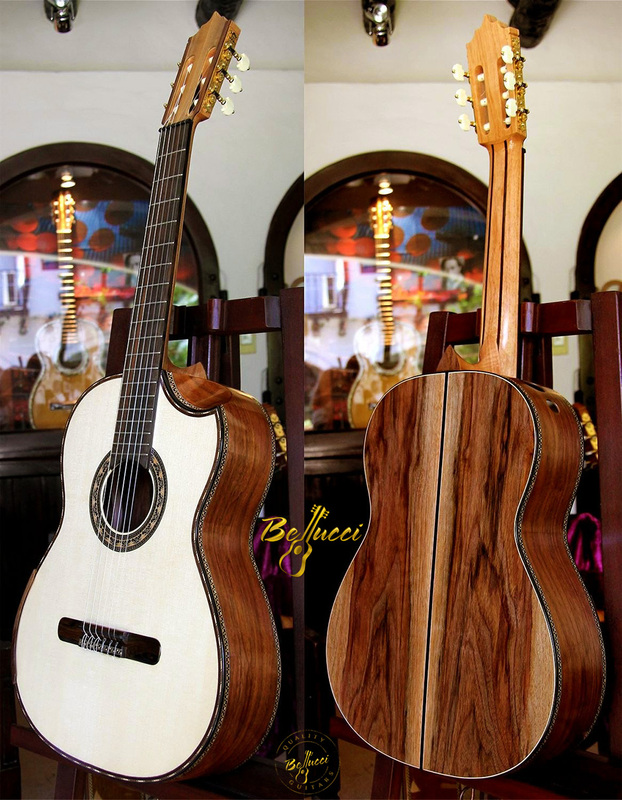 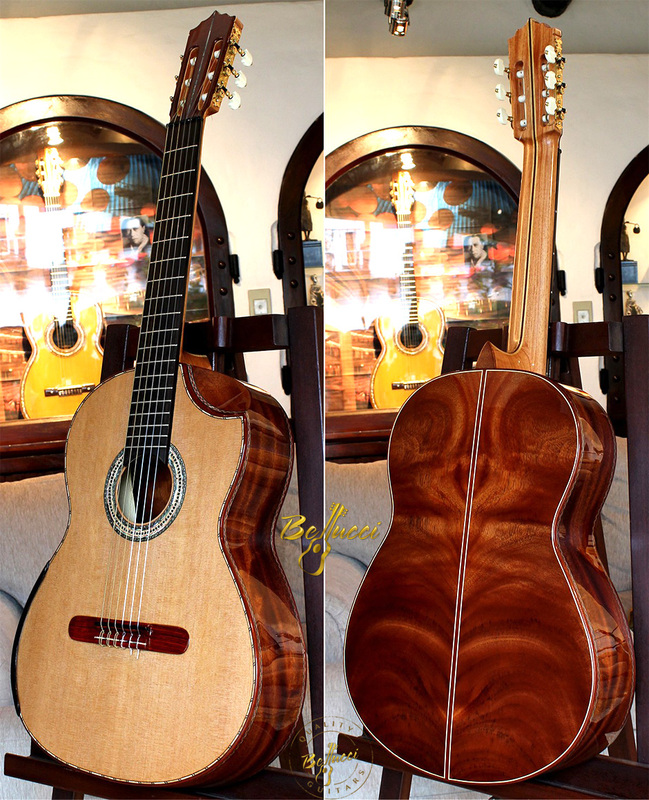 The factors that most incide in the final price are the rarity of the wood used, the number of hours required by the project and the custom options that the finished instrument carries. 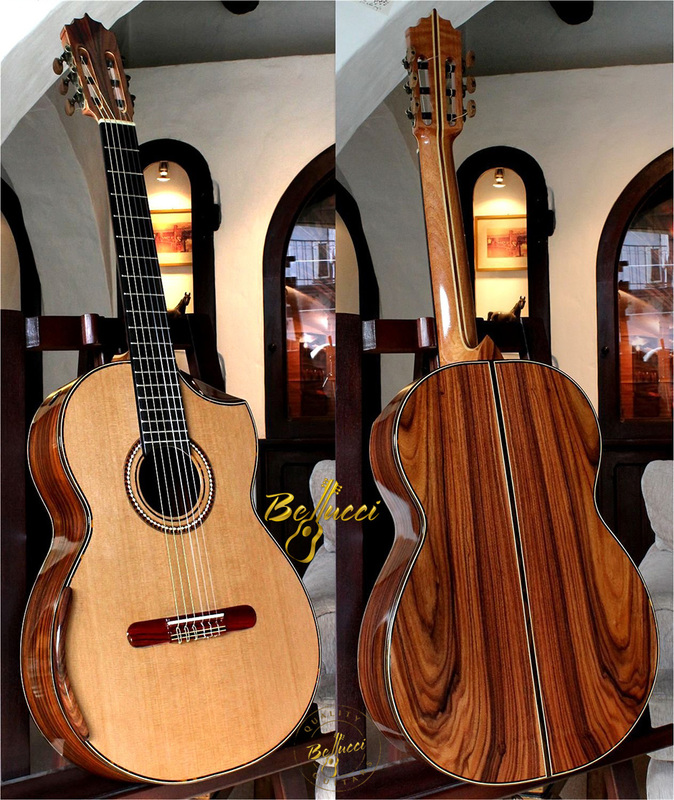 The price tag nevertheless has no impact on the quality of the sound or the finishing of the instrument. 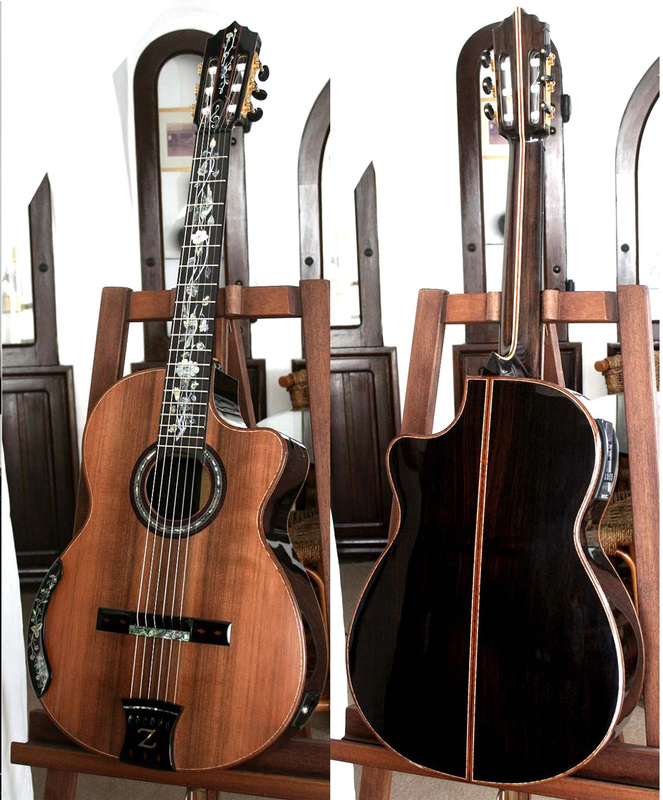 The two things run on parallel roads. 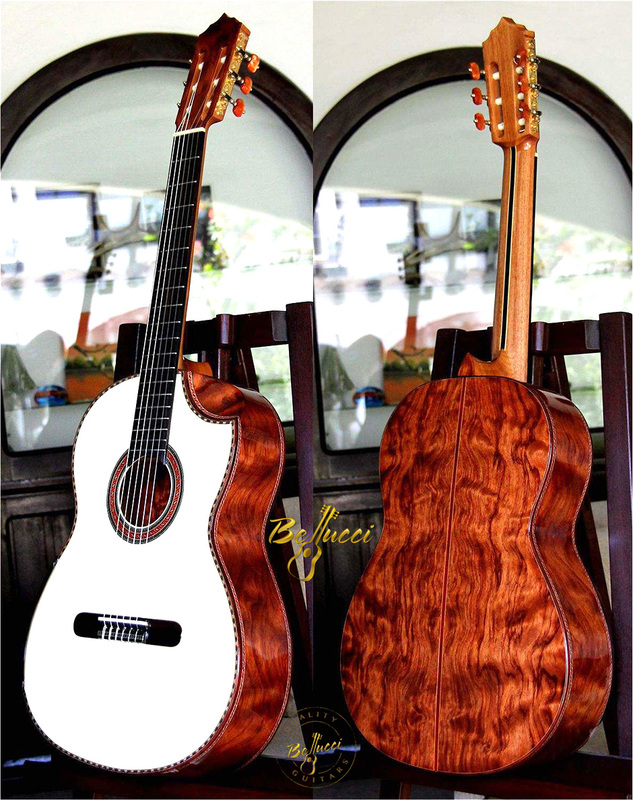 I invite you to use this price calculator that will give you the exact price of the guitar you intend to Custom Order.